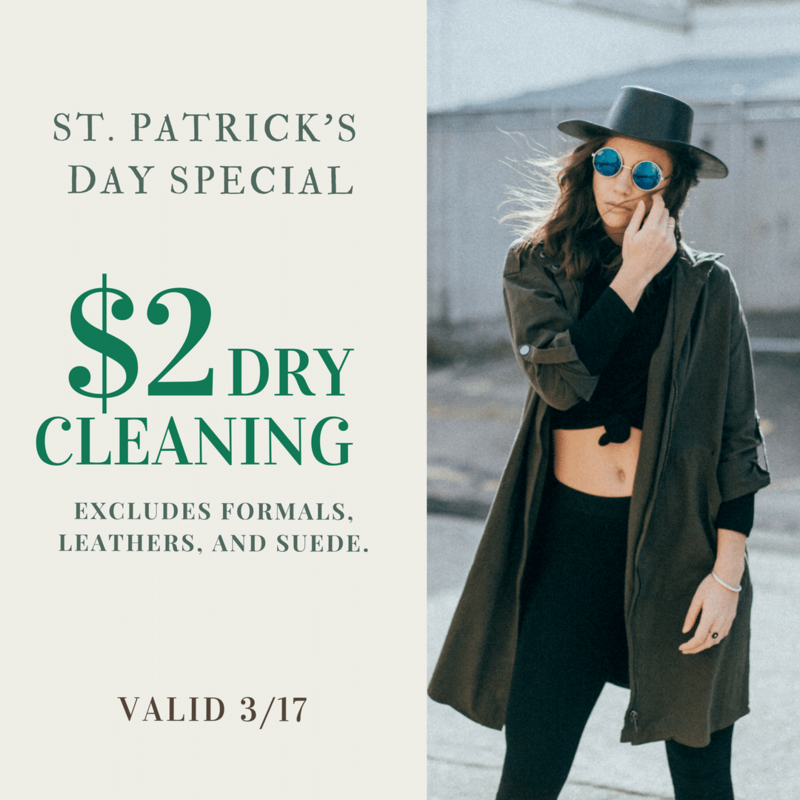 $2 Dry Cleaning – Excludes leathers, suede, and formals. 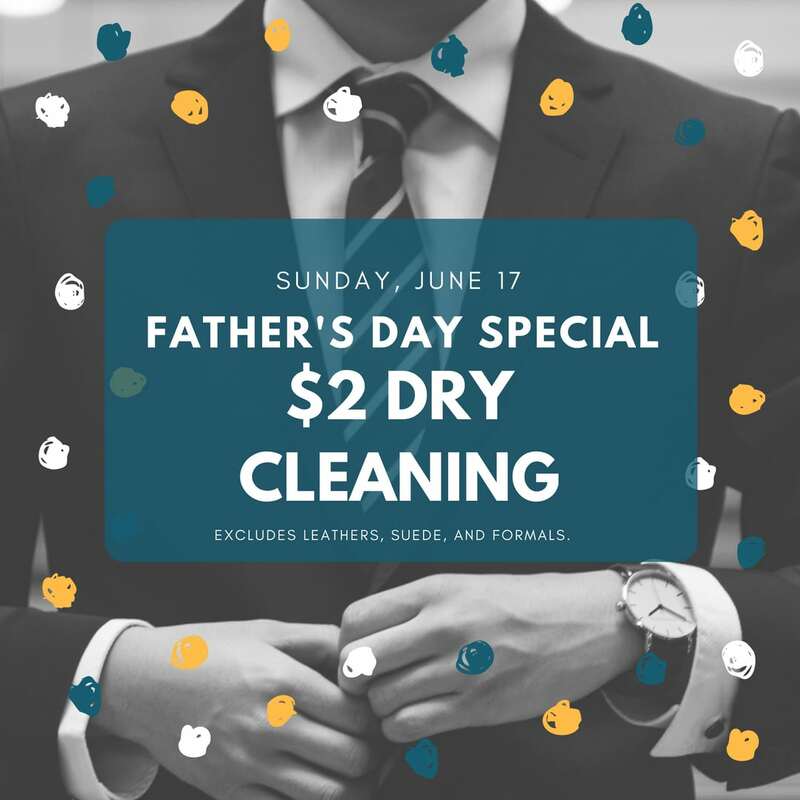 Valid only on Sunday, June 17th. 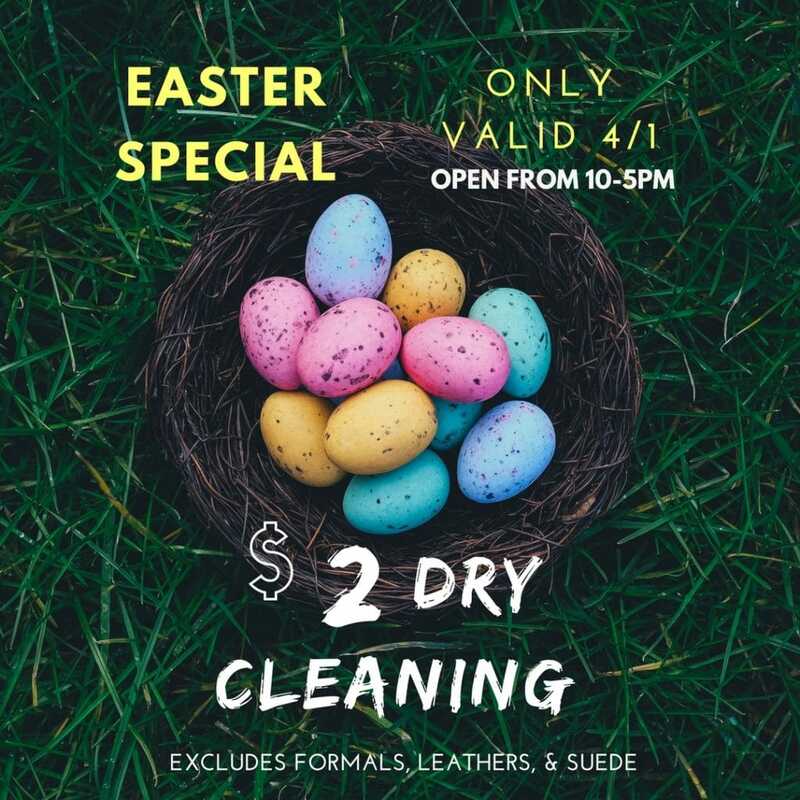 EXPIRED – Easter Sunday Dry Cleaning Special. Excludes leathers, suedes, and formals. 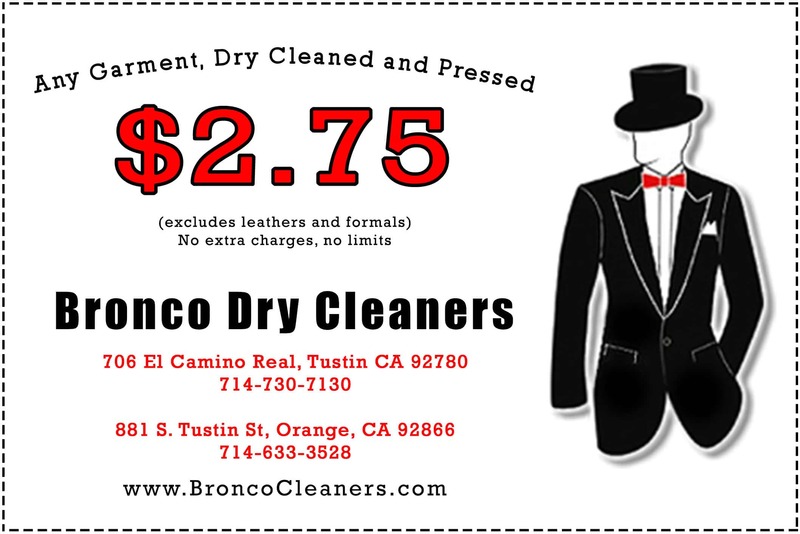 $2 Dry Cleaning! Excludes leathers, seude and formals. Only valid on 3/17 and no coupon is required. 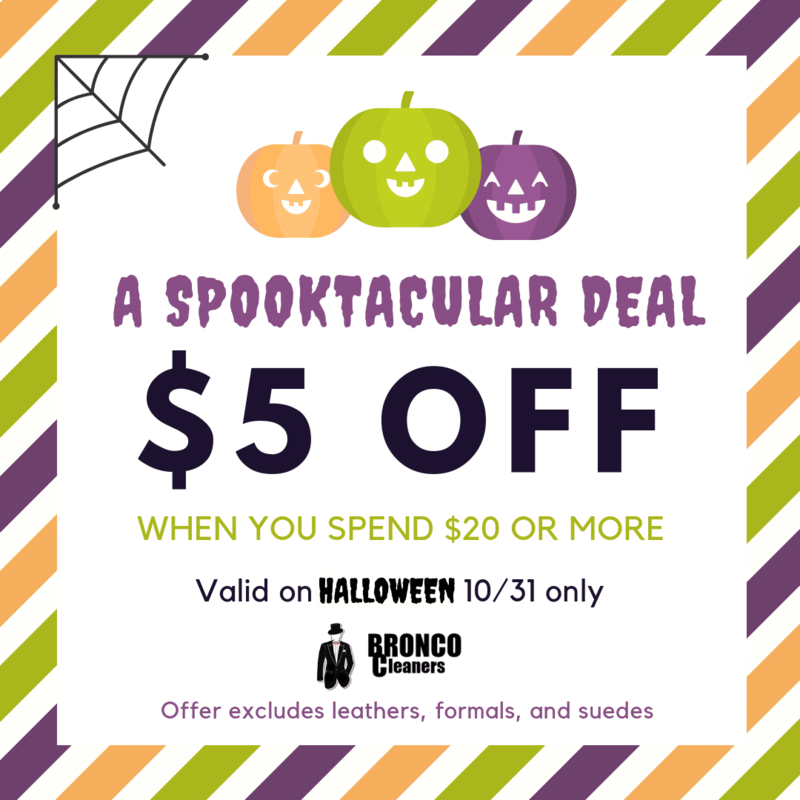 Save $5 when you spend $20+ on Halloween 2018! Offer valid on Wednesday 10/31/18 only. Excludes leathers, suedes, and formals. EXPIRED – Happy Mother’s Day! 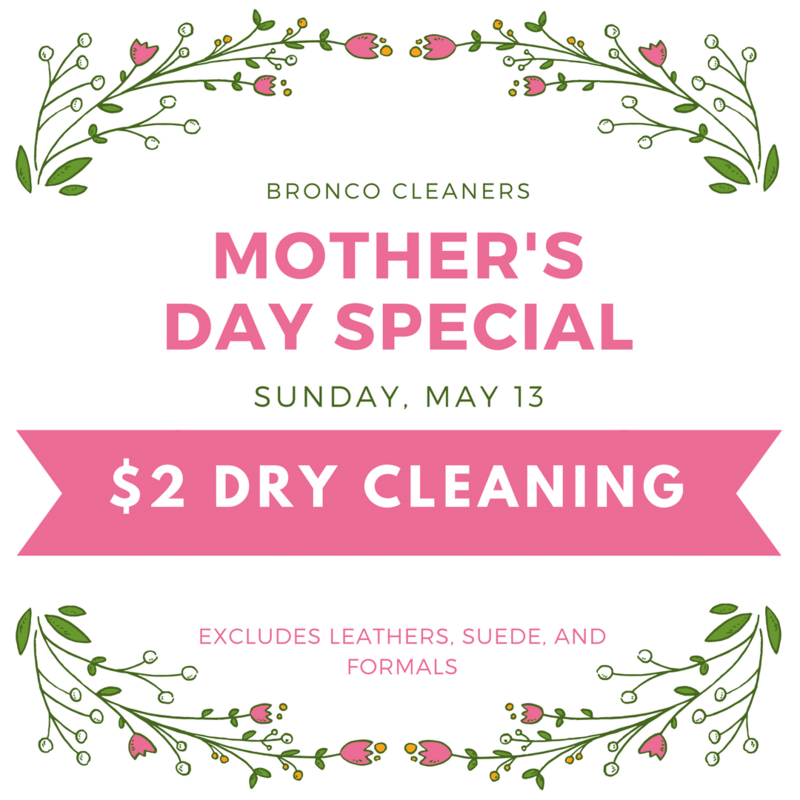 Enjoy our mother’s day special and bring your garments in for $2 dry cleaning. No limit! Excludes leathers, suede and formals. This deal is only valid on Sunday May 13th. 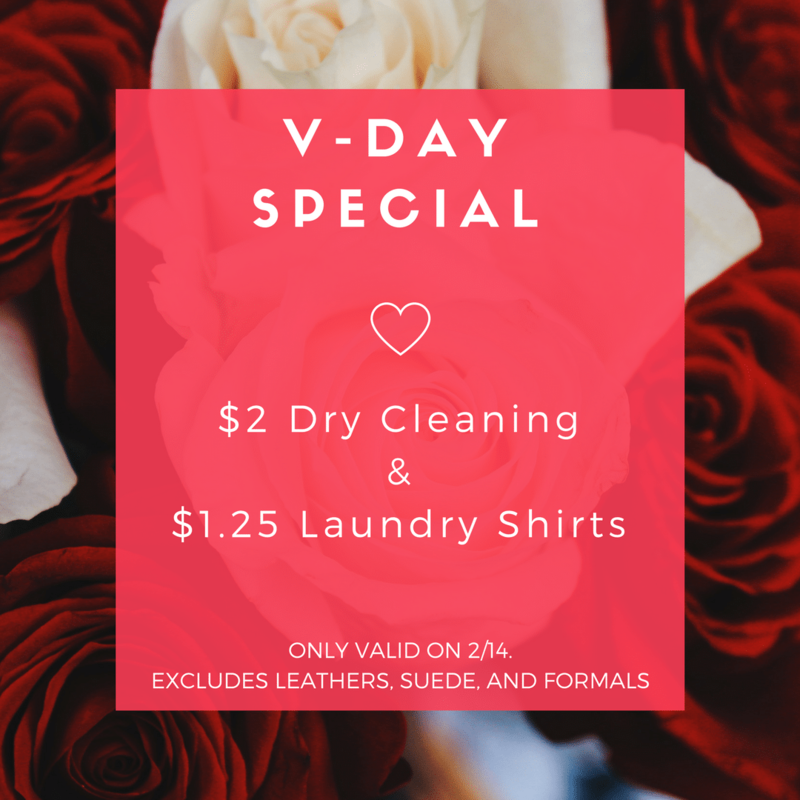 EXPIRED — Valentine’s Day Special for $2 Dry Cleaning per Garment and $1.25 for Laundry Shirts. This deal is only valid on 2/14 and excludes leathers, suede, and formals. No coupon needed.